Taking your brand to a trade show can open many doors within your industry–if you meet the right people. In order to attract visitors to your booth, you have to stand out from the crowd. That is why exhibition booth design is just as important as your presentation, your swag giveaways and what you have to offer to your audience. Here are a few tips that will help your booth look great at your next trade show. The first aspect of your booth that will stand out to those passing by is your graphics. Whether it is large signs, banners or your informational handouts, having graphics that are high quality is essential. If it doesn’t look professional, the audience may pass you by. Your graphics should make a bold statement about your brand and encourage those who are interested in learning more to come by your booth. When choosing what design you are going to use with your exhibition booth, you need to determine what message your brand wants to convey. If your brand is well known in your industry, you can put your name and logo front and center. However, if you are a startup and this is your brand’s first trade show, you may want to start with a tagline or claim about your products and services, then work in aspects of your brand that will lead to future brand recognition. 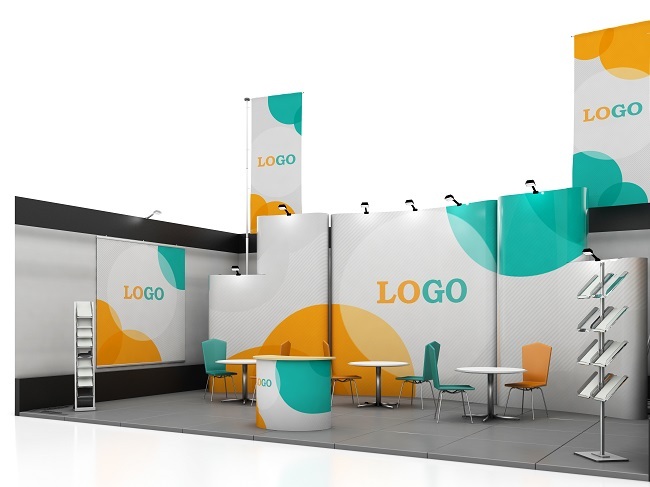 Whenever you design an exhibition booth for your brand, it is just as important to make it functional as it is to make it memorable with your graphics and message. Designing your space so that you can give presentations, have giveaway items on hand and do what it is you need to do to impress your audience is essential to having a successful trade show experience. If your space gets too cluttered or chaotic, you may not be sending the right signal to visitors about your brand. Are you getting ready to take your brand to a trade show? If you are interested in learning more about the services we offer for exhibition booths, please feel free to contact us.